I think that using a spade type of bit there will be really tough going. I would use a regular twist bit. Possibly two if it is really tough going - e.g., 1/2" first and then followup with a 1" through the 1/2" starter hole. If you have access to do so, it may be easier to drill from the bottom up than from the top down because the hole will empty itself thanks to gravity. You can purchase really long standard twist bits and they also sell flexible ones that allow you to have the drill outside of the cavity. You then bend it into a hole in the floor plate. I'd drill a smaller one using one of these bits, and assuming that goes well, look to make it larger, perhaps from the bottom. Obviously make sure there's nothing below you that wouldn't like being drilled into. Not the answer you're looking for? Browse other questions tagged wiring walls or ask your own question. 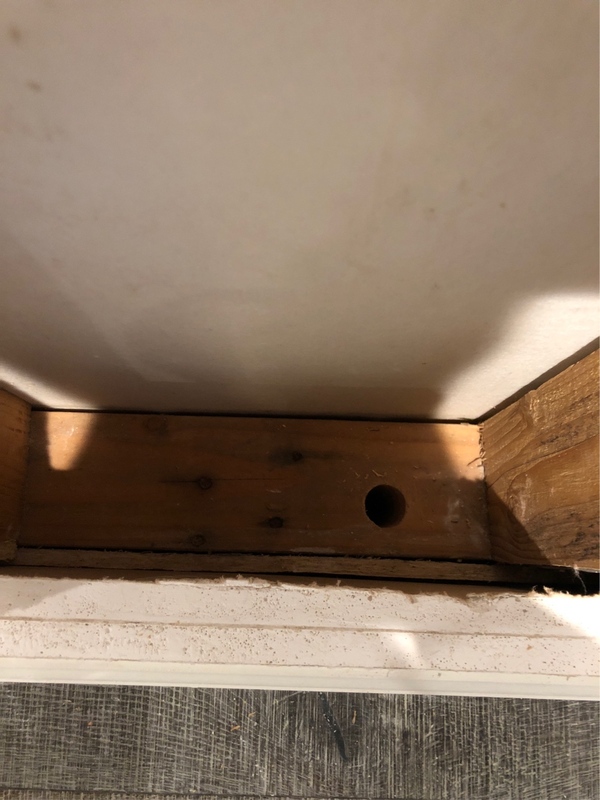 How can I bore a hole through a framing member, without causing a lot of damage to the wall covering? 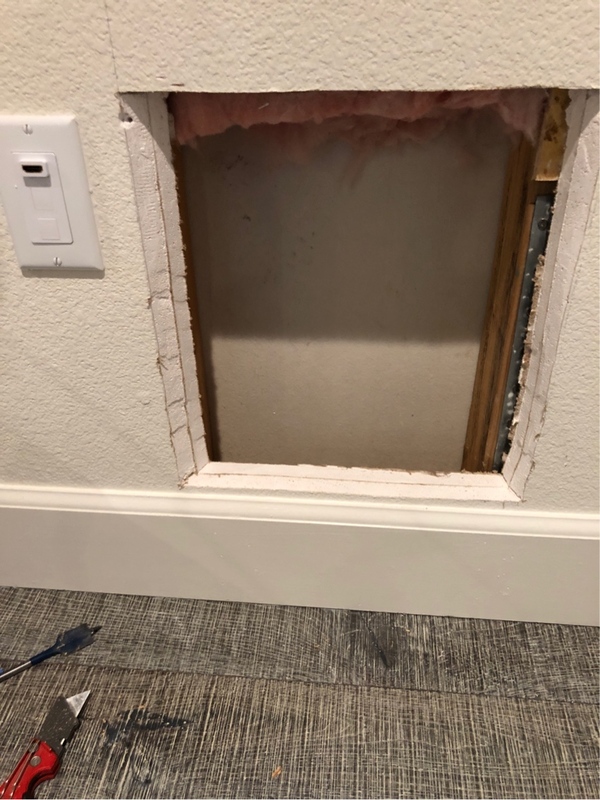 Why might there be concrete inside my wall? 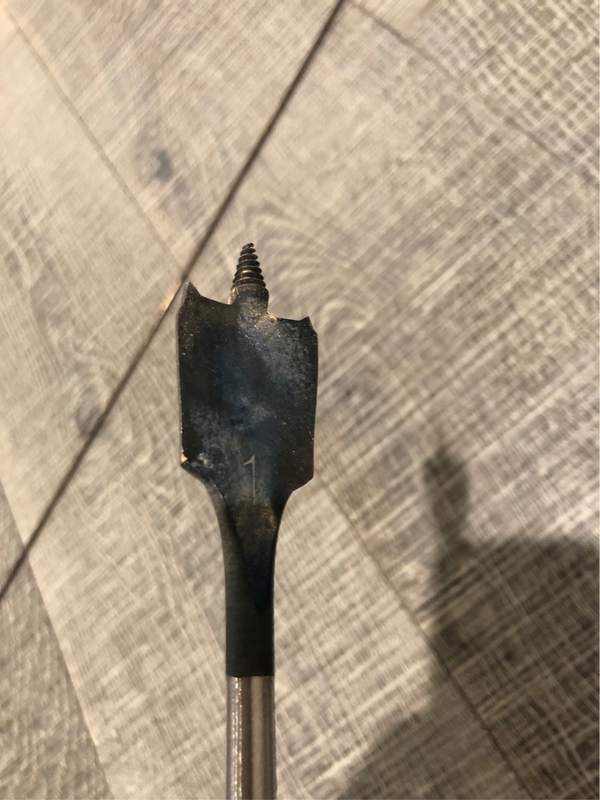 How to safely use an installer bit between floors? Is it safe to cut the plug off a power strip (then reattach it) in order to run it through a wall?